As a plucky schoolboy with a burning desire to entertain, Will began honing his performance skills. Tiring of his day job by age 10, he began impressing crowds on nights and weekends as his mother chauffeured him around the suburbs of Chicago. He has since opened for the Presidents of the United States of America, charmed hordes of Harley riders, enchanted university students, and entertained at corporate events across the nation. His relentless devotion to his craft has left him with amazing skills and very few friends. You will be impressed by the multitude of objects he can juggle while bantering with the crowd. Clubs, balls, and rings, yes, but also traditional cigar boxes, shaker cups, Chinese yo-yo, tennis cans, and hats. Will invites his audiences to play along, making his shows interactive for people of all ages and audiences of any size. 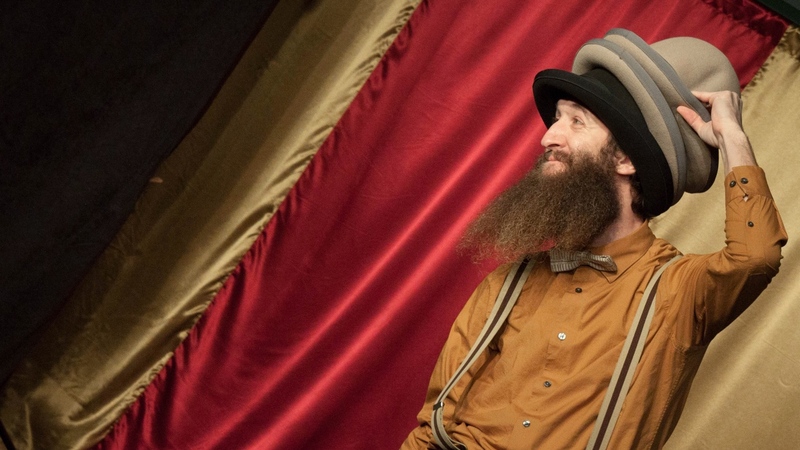 You will laugh at his unique brand of humor, and become filled with awestruck wonderment at his champion juggling skills and award-winning beard.